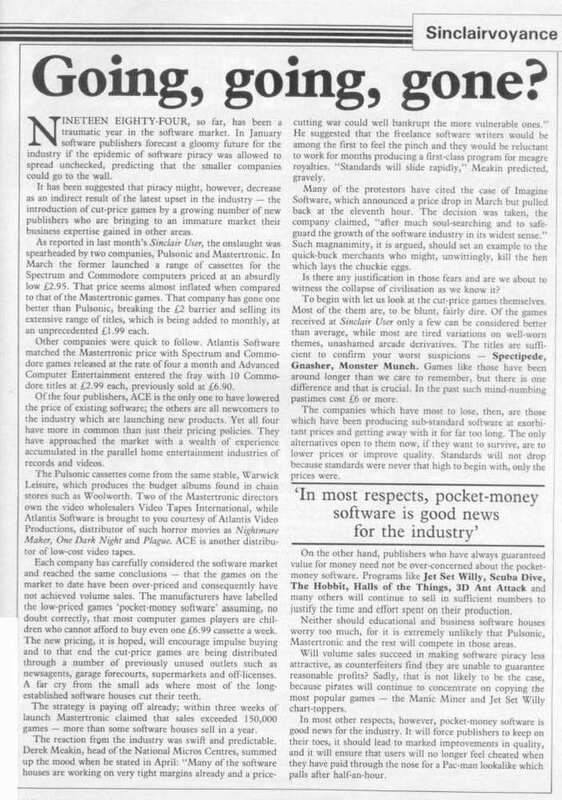 Sinclair User followed up their brief item about new budget software publishers in June with this major feature. They thought that serious publishers - educational and the like - had little to fear (and they were correct; Mastertronic did issue 4 "educational" titles in the Mistertronic series but they were not particularly successful). Their conclusion - "In most other respects pocket money software is good news for the industry. This story is also extremely interesting in the context of the rather obscure beginnings of Mastertronic because it names the video outlet operated by Martin Alper and Terry Medway where the business began.